Looking for Brisbane River function venues? The Regatta Hotel is Brisbane’s seasoned entertainer and one of the city’s most prestigious private function venues. 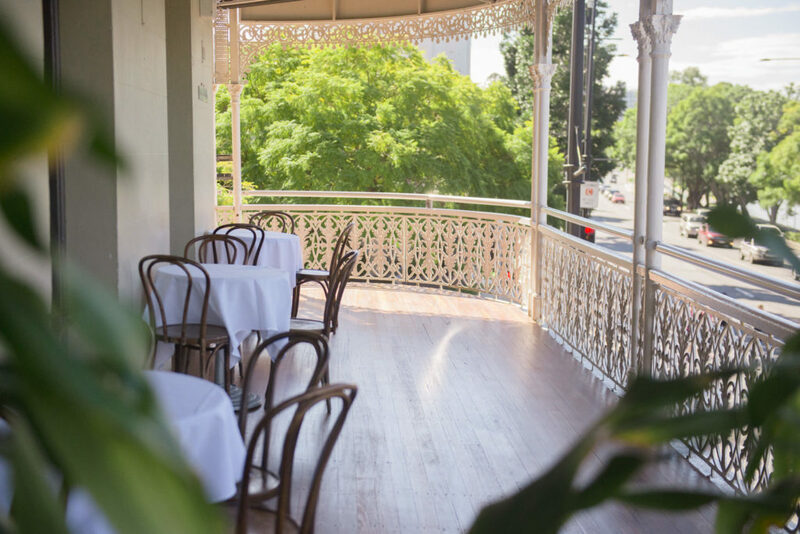 Our Brisbane function rooms for hire are located on the first floor of our award-winning, heritage-listed hotel in Toowong, with each providing direct access to our stunning verandahs and their breathtaking views. These are flexible, fully air-conditioned spaces that can be combined to provide more room for you guests to mingle, and are sure to meet the requirements of your next event. Our broad range of function rooms includes the Winterford Room, Thornton Room, Gazzard Room and Henley Room. Providing a variety of seating and standing (cocktail) arrangements, many of these function rooms for hire in Brisbane’s most ideal riverside location can be combined to provide you and your guests with greater space and more room to mingle. 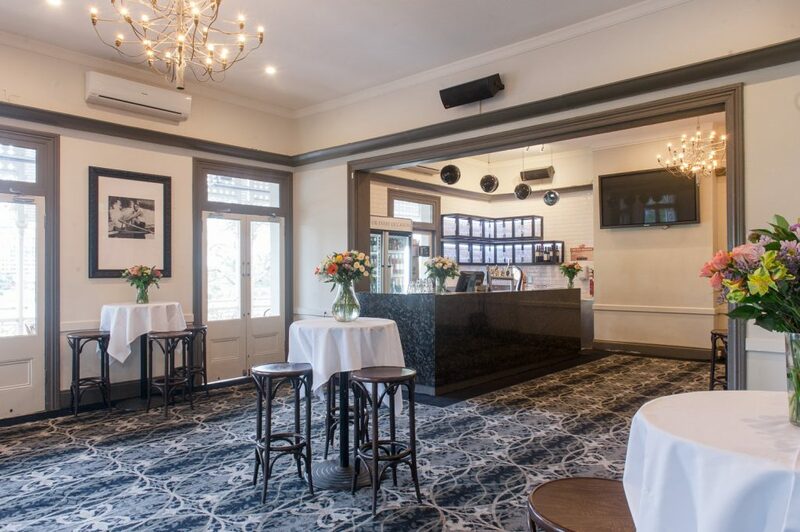 Located at the front of the Regatta Hotel and overlooking the Brisbane River, the Winterford Room accommodates up to 90 people and is one of the most popular Brisbane venues for functions. Both accommodating a maximum of 50 guests, our Thornton and Gazzard Rooms are perfect for smallish functions, with both rooms featuring their own private verandah space. Situated in our Boatshed Restaurant, the Henley Room offers an intimate, private dining room experience for up to 22 people, perfect for high-profile lunches and meetings. 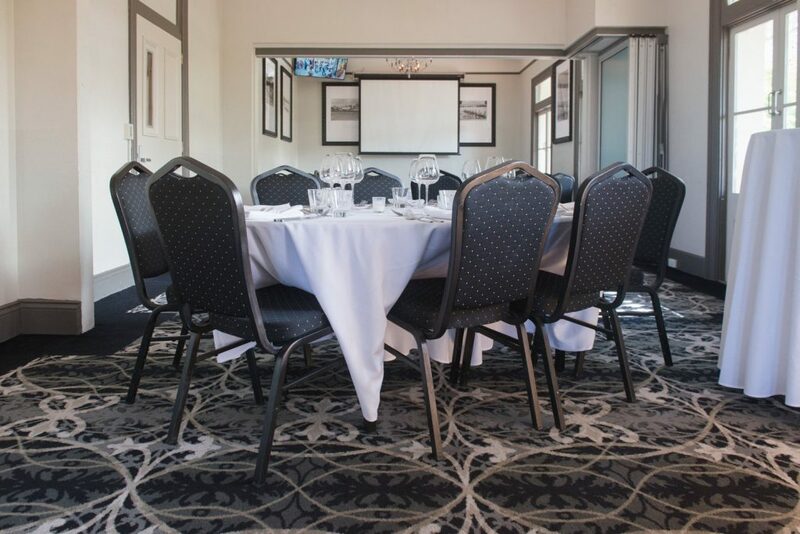 And along with our selection of beautiful conference and function rooms, all of which are ideal for Brisbane function hire, we also offer the Gailey Room. This function room can be used as an adjoining space for the Thornton or Gazzard Rooms if you require additional space for your event. The Winterford Room is located at the front of the hotel, overlooks Coronation Drive and the majestic Brisbane River, and is the most popular of all our function rooms. Brisbane guests will find our premium private function space is well-equipped with a beautiful, black marble bar and audio-visual capabilities, making it a favourite for corporate events, special occasions and wedding receptions. 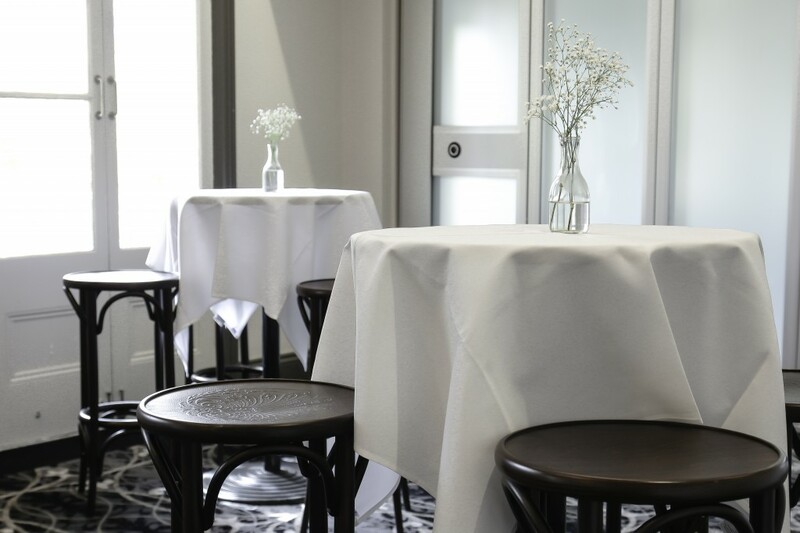 For small function spaces in Brisbane, the Thornton Room at the Regatta Hotel can be used independently or as an additional space for events requiring extra room. The Thornton Room is one of our medium-sized restaurant function rooms and is a popular venue well-suited for functions such as cocktail events, special occasions, corporate meetings and seated, private dinners. With access to its own private verandah space overlooking the Brisbane River, the Thornton Room is perfect for your next event. The Gailey Room is used as an adjoining space for the Gazzard or Thornton Rooms to provide additional space for special occasions and corporate events. With access to private verandahs, the Gailey Room offers a little bit of extra room to mix, mingle and enjoy your function with your guests. If you’re looking for medium-sized Brisbane function rooms, the Gazzard Room is the perfect space for your next corporate meeting, networking breakfast, presentation, small cocktail event or exclusive luncheon. This function space is predominantly used for corporate events and is equipped with a state-of-the-art, ceiling-mounted projector and suspended plasma screen. The Gazzard Room has access to private verandahs and is adjacent to our Verandah Bar, which provides guests with access to a fully equipped bar and break-out space. With iconic views of the city skyline and Brisbane River, the function level attached veranda is a talking point for all guests attending events at the Regatta Hotel. Our verandas boast a gorgeous view of the famous jacaranda blooms on Coronation Drive from September through to January and make a gorgeous backdrop for any special occasion. With varying furniture and layout configurations available for all our restaurants with function rooms, we can arrange the function room you hire to meet the exact requirements of your event. We offer the exclusive use of your adjoining veranda for private use. 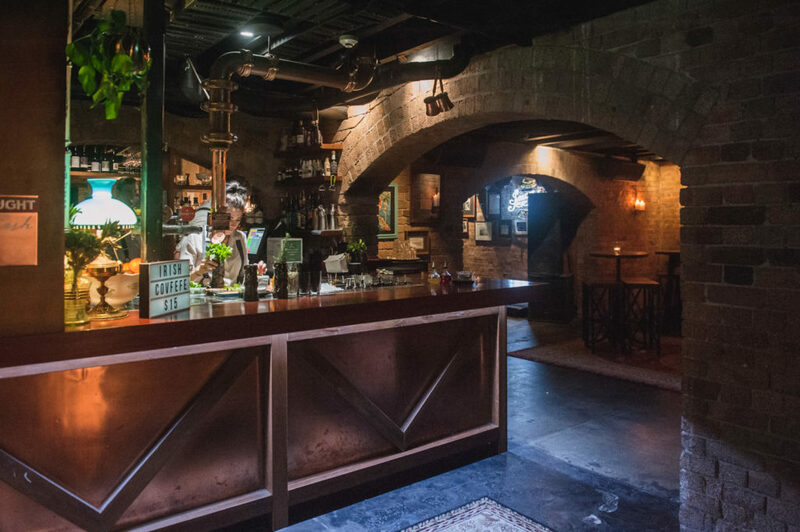 One of the most unique Brisbane function venues, the Walrus Club itself is themed entirely as a 1920’s speakeasy. Described as a scene from the Great Gatsby, the venue is a winding rabbit warren of dimly lit nooks, armchairs, cosy lounges and tall tables. Candles and lamps are scattered throughout the venue, visually referencing the Prohibition era and those colourful times of yesteryear. Authenticity and history were a big part of the design brief and architects Brand and Slater went to great depths to ensure every minor detail contributed to the creation of a truly timeless venue for our guests to enjoy. The Walrus Club offers the exclusive use of the Temperance Bar and Ladies Lounge for celebrations during trading hours, Thursday to Saturday. Exclusive use of the Walrus Club is offered outside of trading hours upon request for a minimum spend requirement or room hire fee based on requirements. Please contact our Functions Manager for further information on tailor designed events and venue space use. The Henley Room is perhaps the one key point of difference for the Regatta Hotel’s Boatshed. 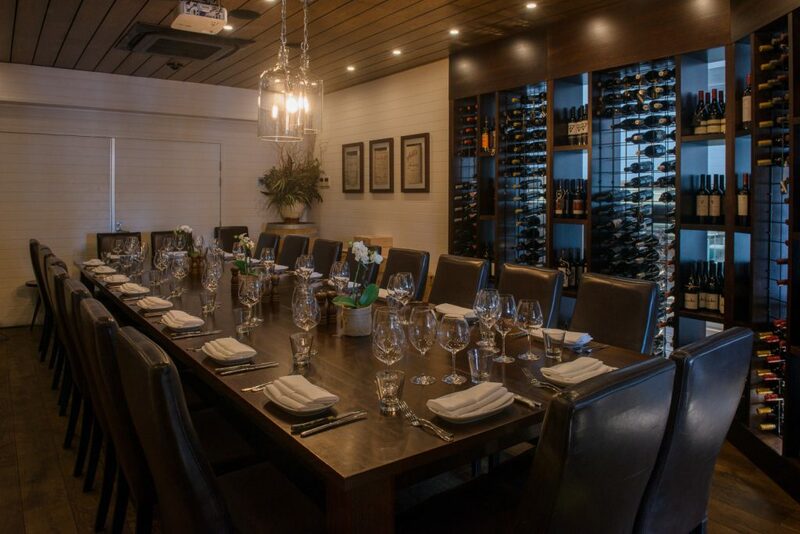 The room acts as a private dining room and working wine cellar seating up to 22 people for an intimate and high quality dining experience. The room sports state-of-the-art AV projector screens and surround sound, and the fine dining menu by our Executive Chef, Simon Street, and his team can be custom designed to suit any tastes or event. Restaurant views of inside the Henley Room are protected by a working wine cellar, a unique feature among function venues in Brisbane. The Henley Room has proven very popular, as very few restaurants in Brisbane offer this type of intimate dining experience. The Henley Room has hosted a range of experiences from Wallabies Dinners and Queensland Red’s Board Room meetings, to high-profile business lunches, wine dinners, Christmas parties, brand launches and more. Looking for restaurants for functions? 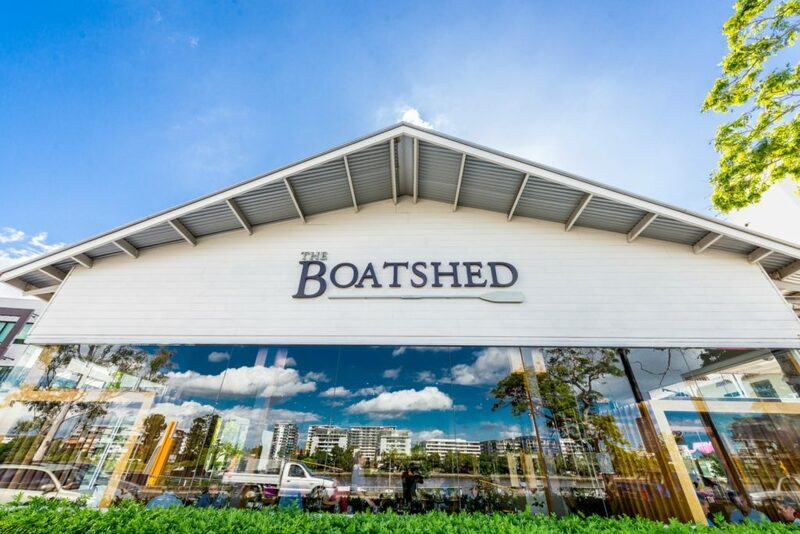 The Boatshed Restaurant plays host to large seated events outside of peak trading hours and may be the perfect place for your next corporate breakfast or luncheon. With state-of-the-art audio-visual facilities, and the opportunity to optimise the space to suit your next corporate presentation or networking luncheon, we would love to chat with you further regarding the opportunity to host your event within this unique space. Download our Special Events Package to see the capacity of each room, the menu, and inclusions. With the most impressive range of private function rooms in Brisbane, the Regatta Hotel is the perfect choice for your next celebration, event or corporate function. Our Functions Team is always on hand to answer any questions you have, so please complete our enquiry form and one of our team members will contact you as soon as we can. For urgent enquiries, please contact us directly by calling (07) 3871 9595.